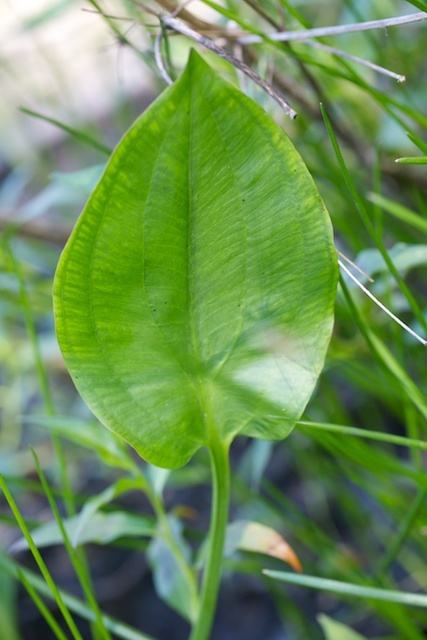 Despite its name, this is totally unrelated to Plantains and belongs to the same group (the Monocots) as lilies, irises, orchids, reeds, rushes and grasses and exhibits one feature common to many of them; i.e. 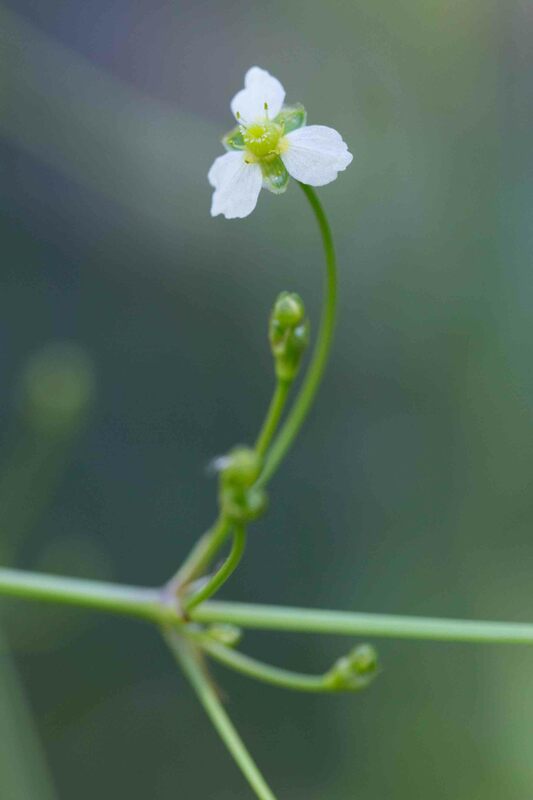 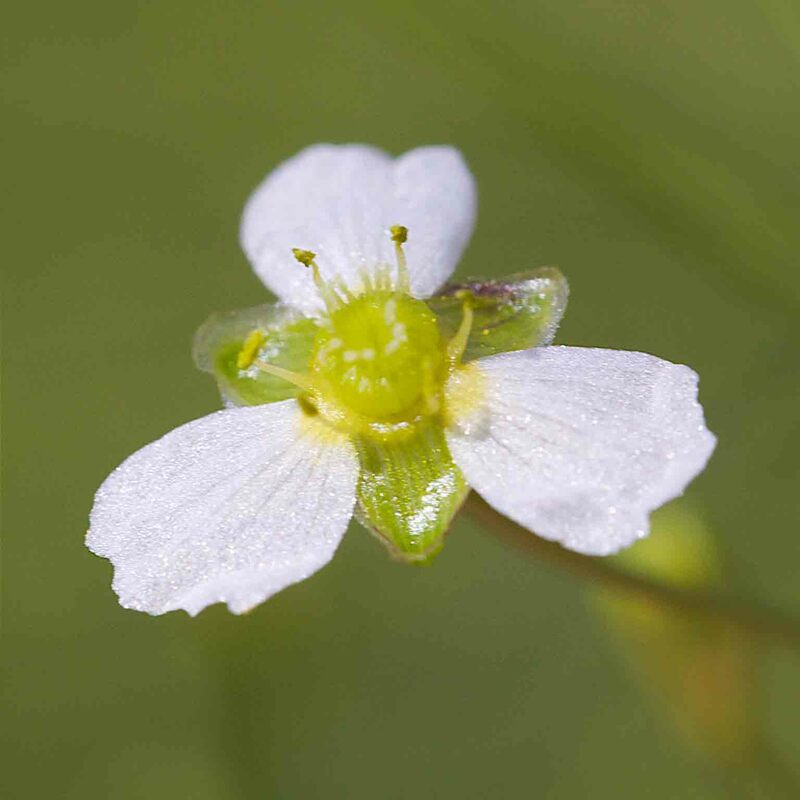 its tiny flower comprises 3 (or a multiple of 3) parts. 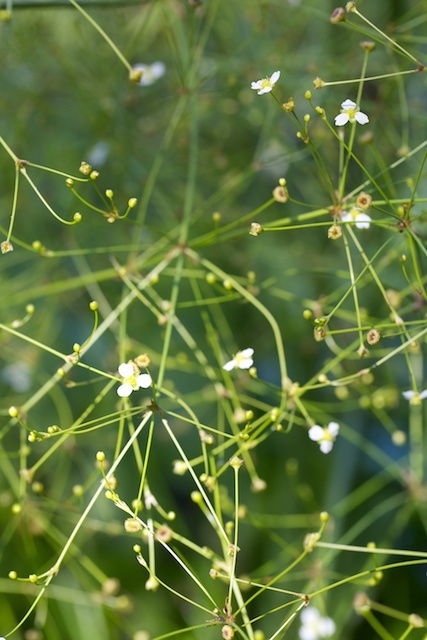 Its large leaves are reminiscent of Plantain leaves but the flowers and upright but straggly growth habit could hardly be more different.